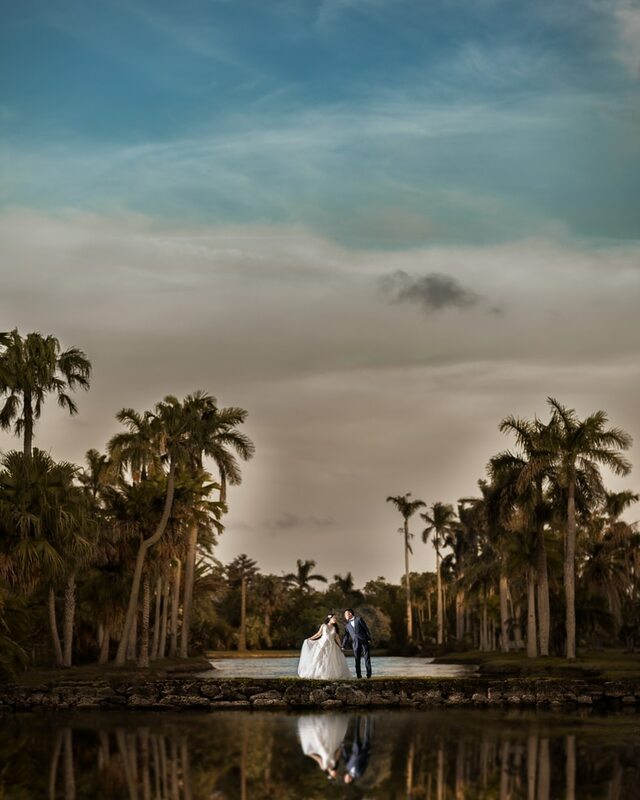 Miami Weddings | Styled Shoots are the key for a stress free day! It goes without saying how much I love shooting Miami Weddings. I truly do, and although I have been lucky enough to shoot weddings in many different places over the past eight years (Italy coming up later this year) I can tell you that Miami Weddings are just the best. It’s the people, the “party” and the overall experience that I love so much. However, to spite my love for Miami Weddings and this being the backbone of my business, I need to come out and express that it’s not all good, all the time. It’s just not. Here is the thing.. I want you all to know that I move the world in an attempt to get the most from your wedding day. Seriously, I don’t know anyone else who is as dedicated, and as creative with the timeline as me, to ensure the best possible results on the wedding day. I am practically a planner, and at the end of the day I do in fact input a lot into the final timeline of any wedding day to ensure expectations are met (and exceeded). This is a huge add value to you as my client, and something you really need to consider when “shopping around” for a photographer. Now.. regardless.. there are times when all of this still will not be enough! 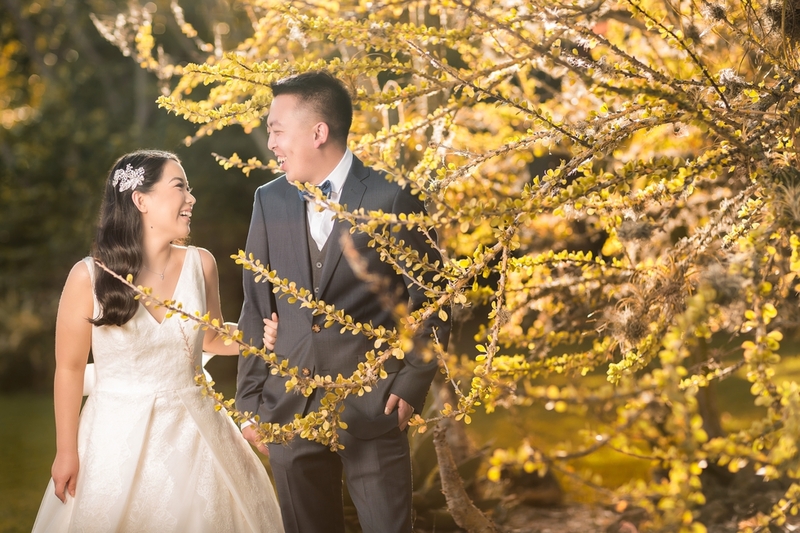 There are times, and I have several clients that insist on NOT seeing each other before the ceremony (also known as a “first look”) and yet, still expect a storybook full of impressive images. So, the only other way around this is to in fact plan on doing an after session. This is what is known as a “post wedding shoot” or a “styled shoot”. Basically like an “engagement session” but is done after the wedding is over. This is where you can get back into your wedding dress, and we can do out on a different day and get more controlled images, in a verity of locations. 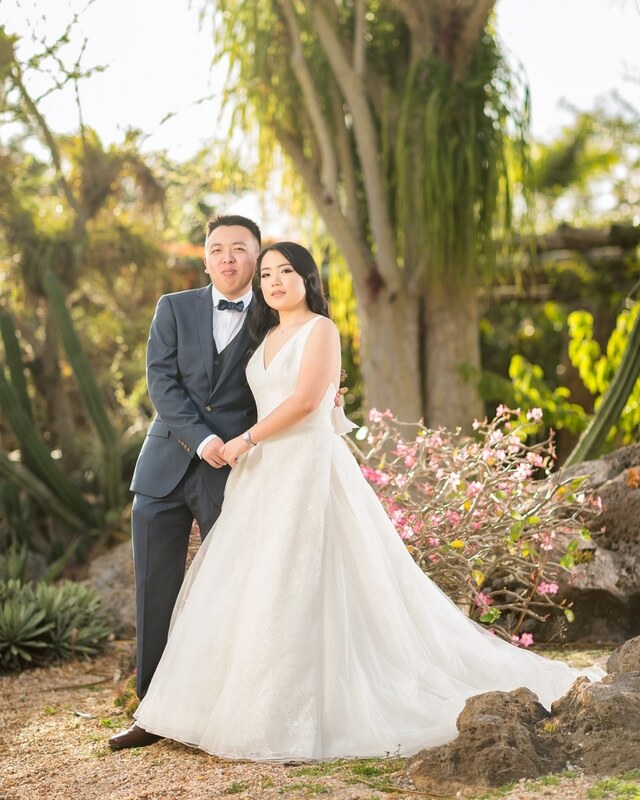 This would all be impossible to do on the wedding day, and is the best option for Miami Weddings where there will not be enough time to get styled, creative shots of the bride & groom on the wedding day. 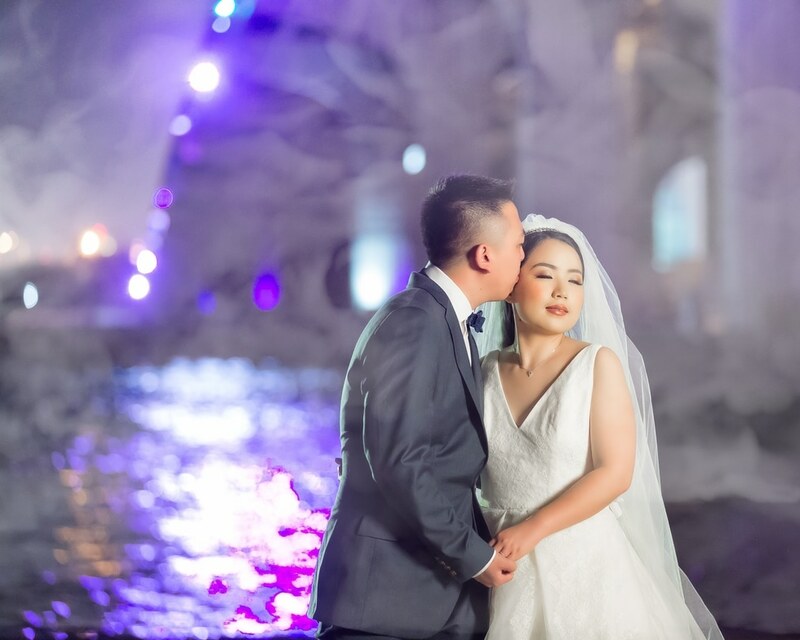 This also allows them (you as the client) to relax more on the actual wedding day, not have to stress about creative shots as much and spend more time with family and friends. So, for the “right” couple this is a no brainier and the best way to roll. For the location, we went to Fairchild Tropical Gardens. This is one of my favorite places to shoot. I mean, just look at all the amazing colors here! 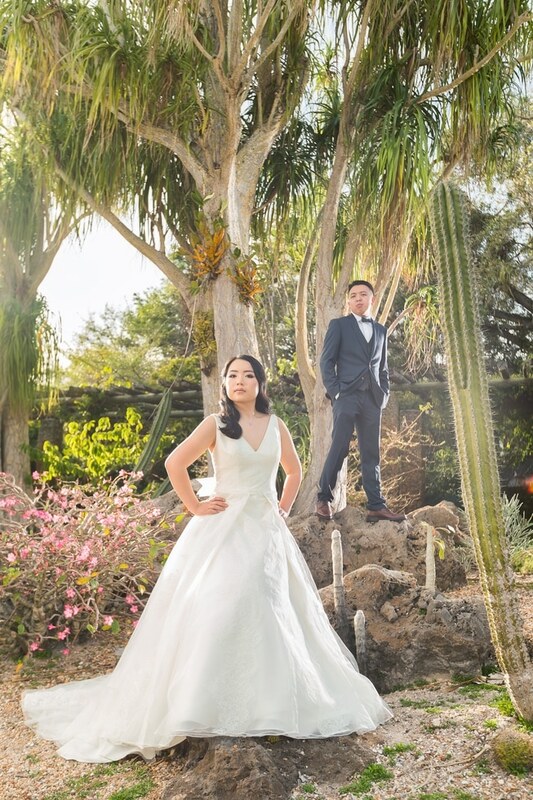 One of the things that makes me very unique as a Miami Wedding Photographer, is my unbelievable ability to mix natural lighting with artificial lighting (flash). This gives me SO much more control than that of what most photographers do, and the end results truly stand out. 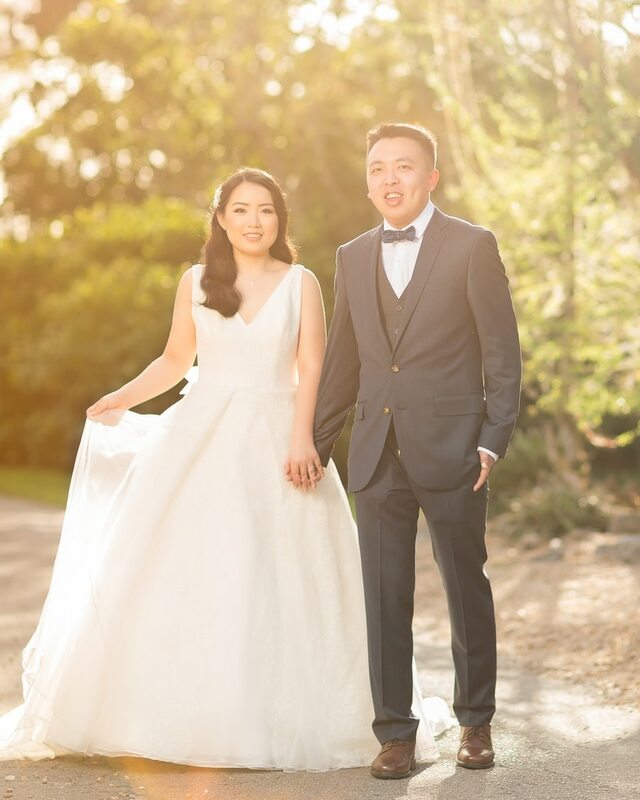 For example, this back-lit shot of the couple with the sun. This comes together well with the lighting that I also added in the field, and gives a very controlled, yet “soft” look. Perhaps one of the most impressive shots taken at the gardens. This was a tricky shot to “pull off”, but in the end really came out incredible! After the gardens, we stopped and had some burgers and beer with them. Yes, she sat in her wedding dress and ate burgers and beer with us. LOL. In turn, I agreed to do another setup at night for them. Here it is. Under the I-395 in Miami 🙂 Smoke and all!